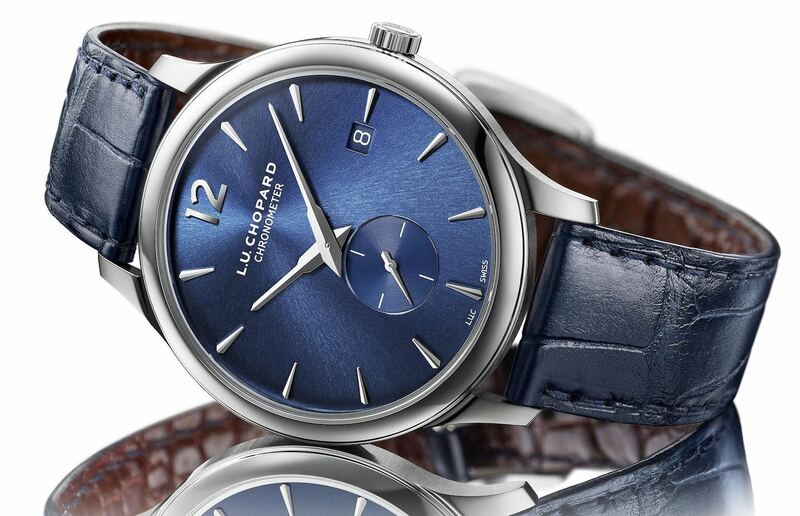 Introduced in 2006, the Chopard L.U.C XP has been one of the brand’s most elegantly simple dress watches. 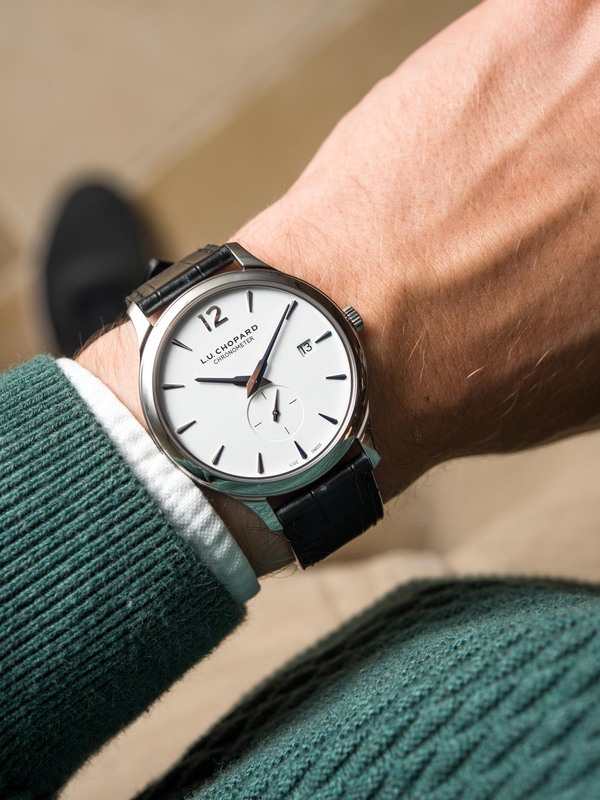 Last year, we had a chance to see refined and updated versions of the Chopard L.U.C XPS (the “S” designation refers to the inclusion of a small seconds sub-dial at 6 o’clock) watch in stainless steel, 18ct rose and white gold – plus there is also a version in platinum with a blue dial which also boasts the Geneva Seal. The new XPS watches all take on some of the more “signature” characteristics of the L.U.C line while there are distinct updates unique to each of the three watches. What’s unchanged is the size of the 40mm-wide and 7.2mm-thick case. 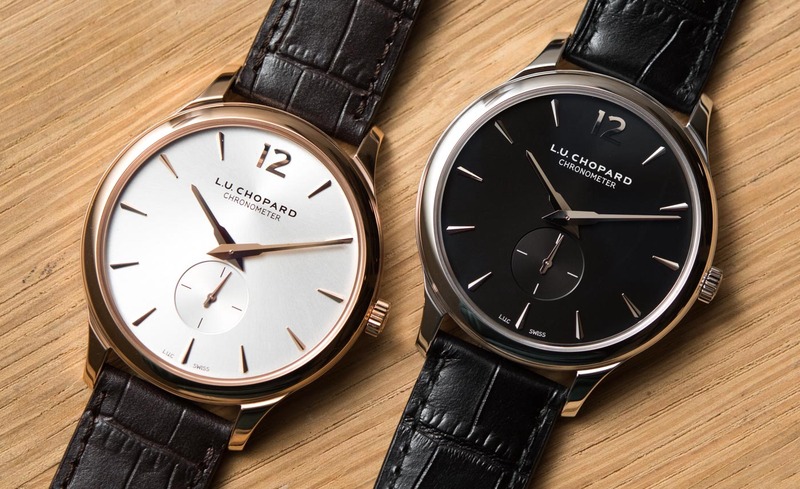 However, Chopard has made minor modifications by trimming down the lugs so the watch sits more comfortably on the wrist. Additionally, they have domed the sapphire crystal on the dial. The intention here was to have the softly domed crystal slip under a sleeve more smoothly. 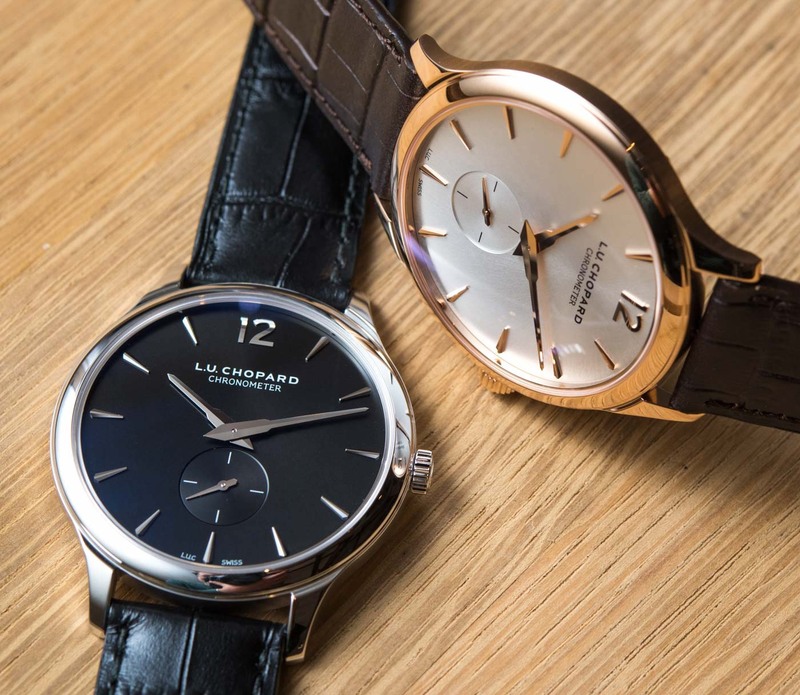 A significant change in the refreshed Chopard L.U.C XPS line will be the new fusee Dauphine-type hands that are replacing the outgoing classic-Dauphine hands. These angular, three-dimensional hands provide a more modern look, with the hour-markers shaped as raised and facetted arrows. 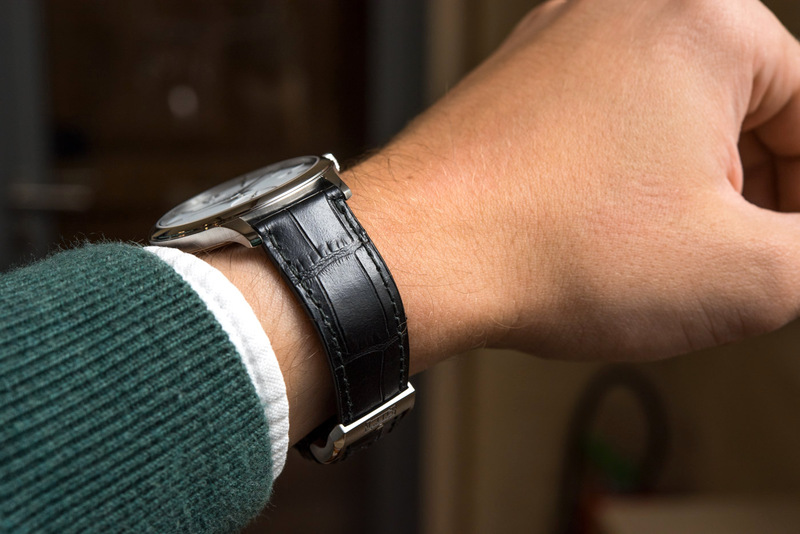 These hands are similar to those we saw in models released earlier this year, like the L.U.C XPS 1860 Officer’s watch. Definitely an upgrade for the XPS. Another change you’ll notice on the dial is that the text “Chronometer” is now written under the brand logo. 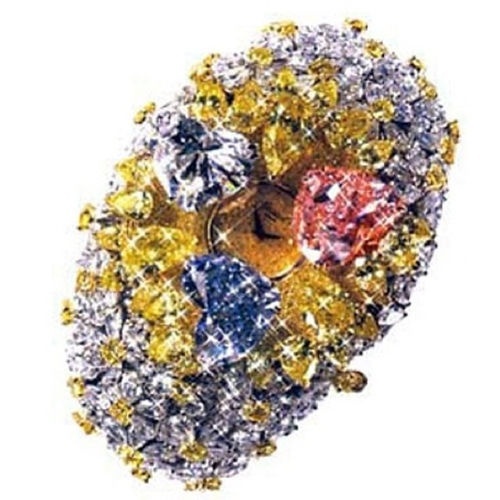 This is found in higher end Chopard L.U.C watches and elevates these pieces’ prestige. 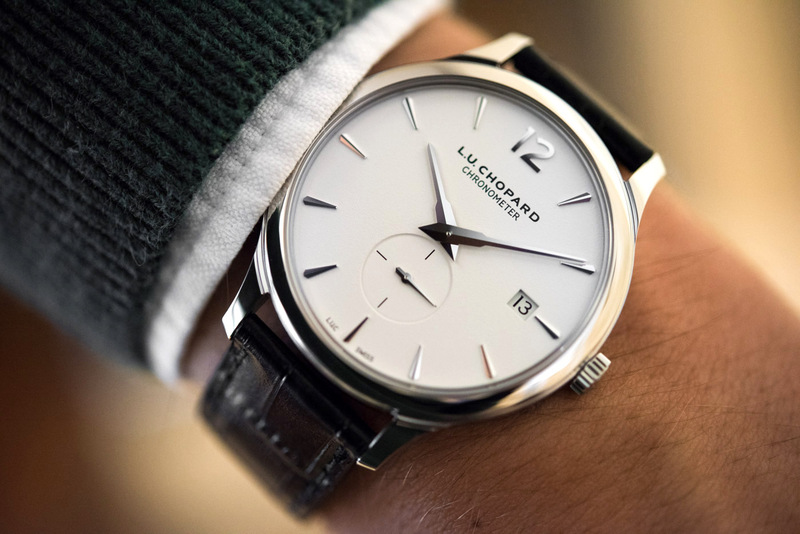 The Chopard L.U.C XPS in stainless steel has a grained white dial texture that is new. The snailed small seconds sub-dial and rhodium-plated hands, indices, and appliques all come together in an attractive and conservative dial. 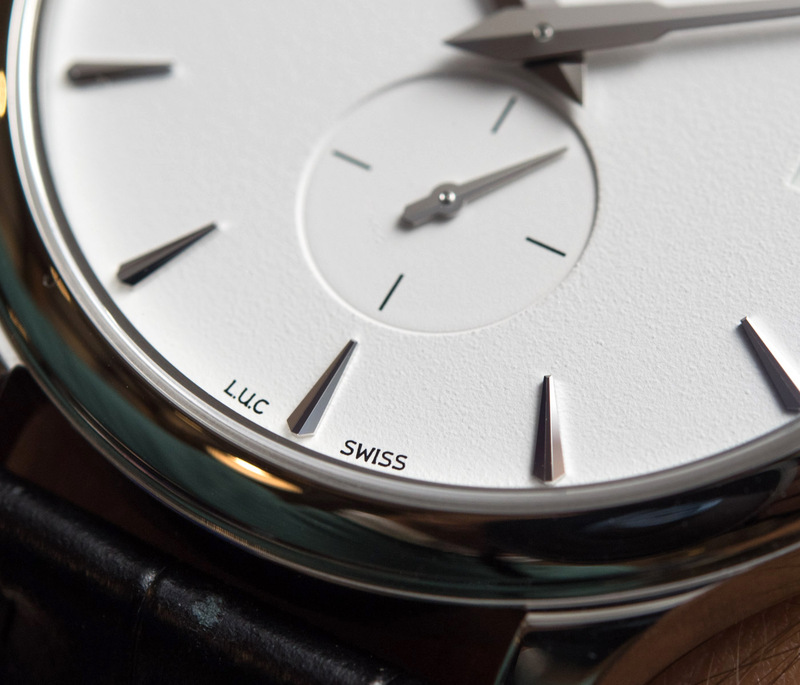 The stainless steel XPS features the automatic L.U.C 96-50-L Calibre which can be seen through the case back. This movement measures 27.4mm in diameter and is 3.3mm thick. Like all the pieces in this collection and many others, the double barrel or “Twin” technology is employed in this movement. Operating at 28,800 vph, it achieves a 58-hour power reserve. 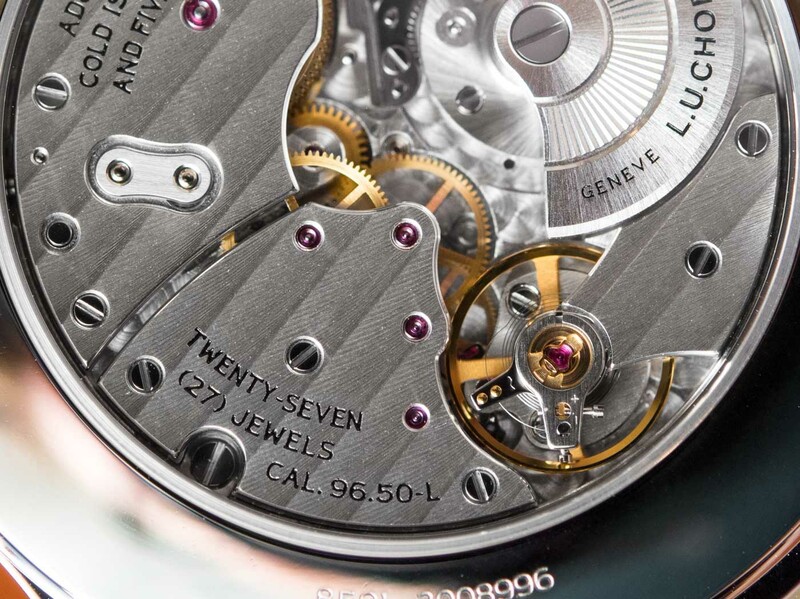 Other features of the movement are a flat balance spring and, of course, Côtes de Genève work down on the bridges. We see a black dial used for the 18ct white gold model and a silver-toned dial for the 18ct rose gold watch. Both of these feature a new sunburst dial that make these pieces more radiant than the stainless steel model. 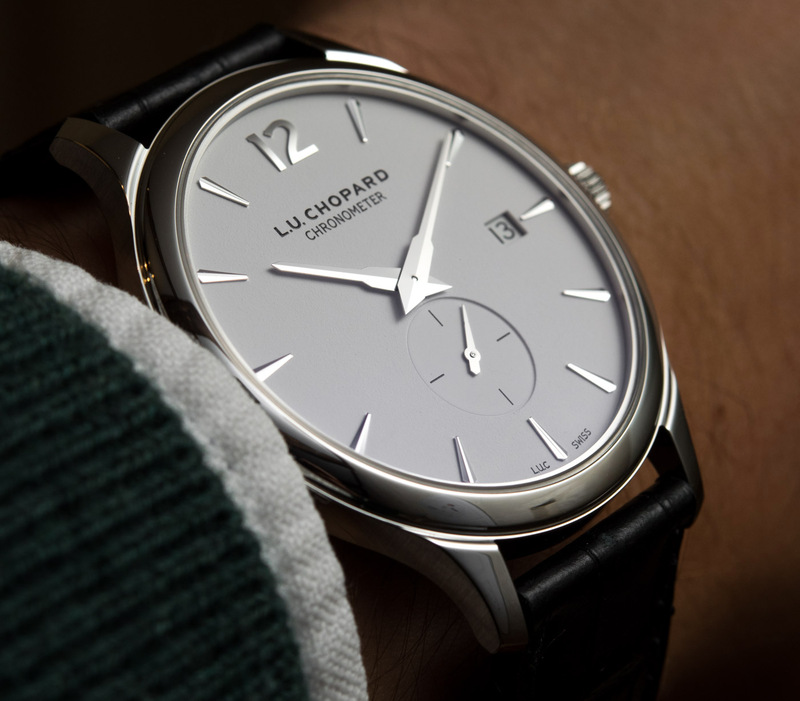 The white and rose gold Chopard L.U.C XPS watches house the automatic L.U.C 96.12-L calibre. This movement is also 27.4mm in diameter and 3.3mm thick. This movement boasts a 22ct gold stamped micro-rotor, the double barrel Twin technology, a flat balance spring, and Côtes de Genève on the bridges. Operating at 28,800 vph, there is a substantial 65-hour power reserve. Finally, the platinum model features a galvanic blue dial with sunburst satin-brushed dial finishing in addition to the Rhodium-plated hands, numerals, and indices. In addition to the case material, the movement is what distinguishes this piece from the others. The Chopard L.U.C 96.01-L calibre features the Geneva Seal (also known as Poinçon de Genève or Geneva Hallmark) which is reserved for movements with the highest level of decoration quality and are also is tested for accuracy, water resistance, power reserve, and performance. 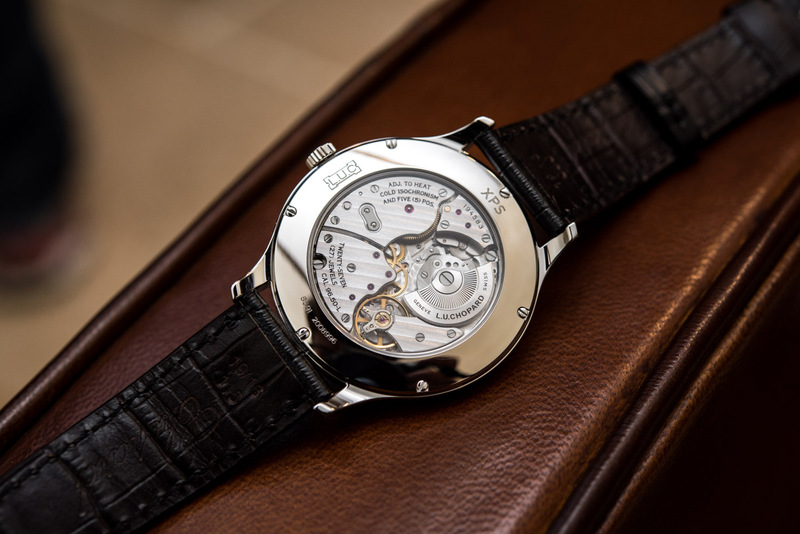 The 96.01-L calibre features a swan neck regulator, a balance spring with Philips curve, and of course Côtes de Genève work on the bridges. Operating at 28,800 vph, this movement has a power reserve of 65 hours. Nice but a bit pricey (esp the precious metal mark-up!). Rather spoilt by the date window. Bilal: is that sub dual snailed? I cannot identify any texture in these pictures, it must be very subtle. Just curious. Very nice micro rotor movement, as usually. Loves me some LUC watchmaking. The watch itself is a bit conservative for my tastes, but every man should have good dress watch and this one makes a strong argument if this is the bracket you’re shopping in. I can say that they aren’t snailed (Bilal also saw these at BaselWorld but these are my images; just added that amendment to the second photo as a caption). There’s an image in the gallery that gives you a closer look: the sub-dials have the same texture as the dial, although a bit less pronounced. It’s that concentric circular texture that you often see applied to subdials on chronographs or watches with small second counters – gives the subdial a little contrast and extra pop from the rest of the dial. From memory it’s a quartz, that fact and the $30m price-tag are the only things that have stopped me from buying one for each wrist. I get the feeling this is aimed for someone perhaps considering a Calatrava 5227G, which has a date. And with the 40mm diameter, the steel version could be a daily office wear watch, if you work at an office with a dress code. Or even if you don’t and you feel being a little extra that day. What’s in a name? It looks a lot like the Baron Mauer watch previwed yesterday but at 20 times the price. Handle the Baron Mauer and the Chopard side by side, and I guarantee you that the Chopard is far, far, far and way the better made watch, all the way down to the spring bars. 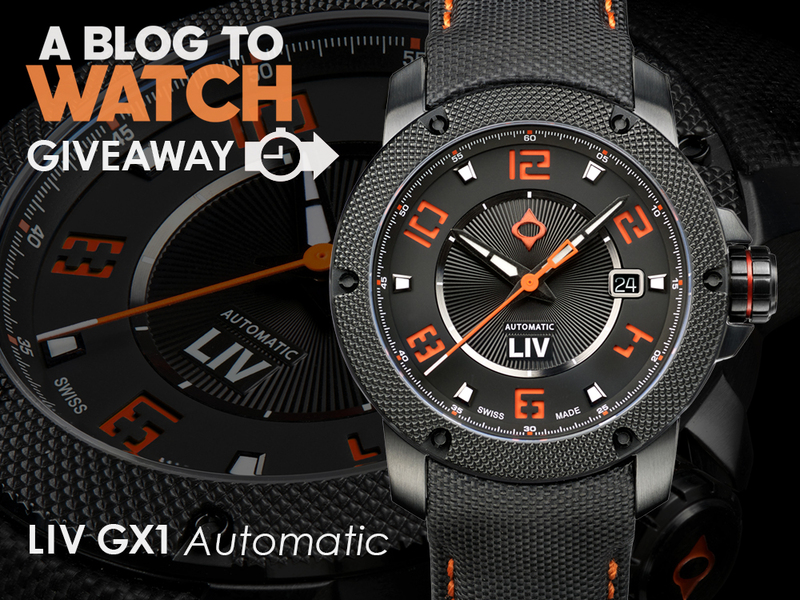 Whether is its 15 times better, well, that’s subjective, but these L.U.C watches can roll with the best dress watches. 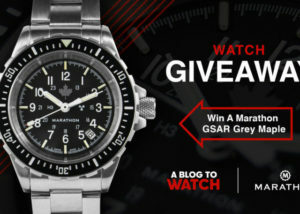 Snark aside, I absolutely agree with you but as watch enthusiasts we focus on those details. To the uninitiated, put those two side by side and then tell them the price difference and they’re liable to laugh in your face. I told my father how much I paid for my modest, five-watch collection. He is shocked and a little bit appalled. Gorgeous watch. You pay a little premium for the Chopard name, but man, they do make attractive watches. I’d honestly pick one of these over a Calatrava. I like the case design, dial color n proportions but not at this price point. 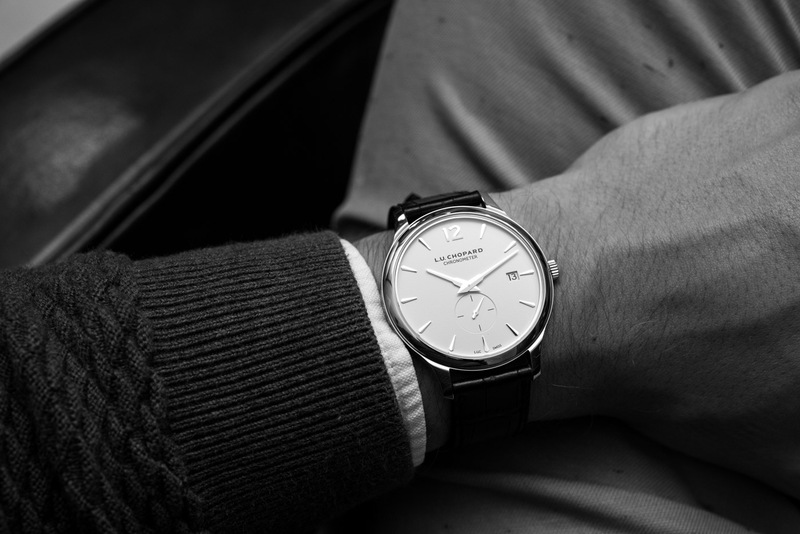 I would rather buy underrated and excellent quality Frederique Constant small seconds for 1/10 the price offering good value.They also have manufacture calibres at a much reasonable price + discounts.